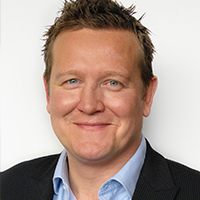 Rob has 15 years’ experience of senior search and consulting within the iGaming and New Media Technology sectors. Recognizing that the iGaming industry was under serviced in the area of talent acquisition, Pentasia was founded in 2001 by Rob and his business partner Bruce Gamble . Pentasia today operates offices in 10 countries worldwide. From inception Pentasia has been focused on the iGaming sector and has provided a unique range of recruiting services and consultancy advice to a truly global client base. In 2013 Rob founded Partis Solutions, a management consultancy for the gaming industry and part of the Pentasia Group of which he is CEO.